Ideal present for loved ones who love jiu jitsu, grappling and MMA. 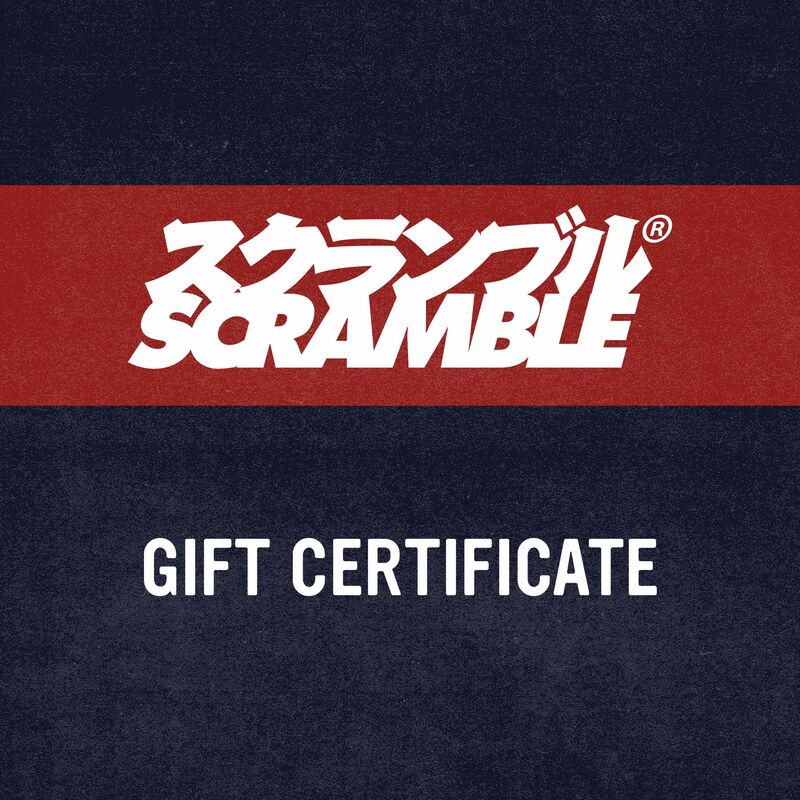 The gift certificate is a code, sent by email. No physical product. Please note these are digital, not physical, gift vouchers. You receive no actual printed product, just the code that can be redeemed online. Unsure what size spats your partner is? Not sure if your son likes rainbow tights or samurai rash guards? Stumped about what to buy for Christmas or birthdays? I’ll give you a hint: The answer is SCRAMBLE. To all of the above. Yes, even the question about size. The answer is SCRAMBLE. You can even buy one and send it to yourself. That would be kind of weird but you definitely could.